The summer has, for many years, been a fantastic time to be a moviegoer. It’s a time when Hollywood pulls out all the stops to deliver exciting, action-packed, and fun blockbusters with a few great independent films and early Oscar contenders on the side. As someone who has always loved movies, I’ve always looked toward the summers with anticipation. The summer of 2016, however, has proved to be quite possibly the worst summer for movies ever, or at least the worst in my lifetime. With both its extremely high budgets and its total lack of interest in artistry, Hollywood spared no expense to be as dull and tedious as possible, producing mostly awful, forgettable time-wasters, instead of inspired movies. Where to even begin? The rest of the film, not unlike “Batman v. Superman,” squandered its fantastic premise on bad direction, writing, editing, action, and a general lack of creativity. 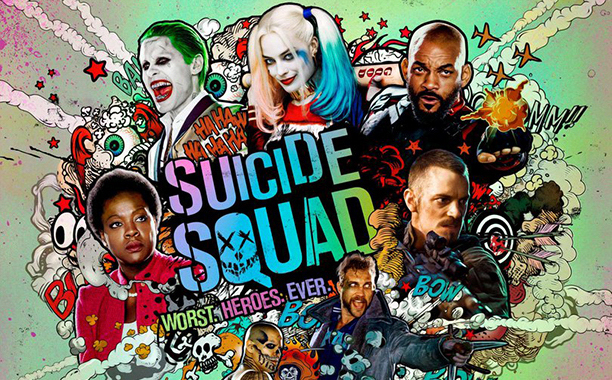 The film, written and directed by David Ayer, quickly propels itself through cliché after cliché without any efforts put into character or plot development, or anything else that might make it stand out beyond its gritty aesthetics. It is, in a word, boring. But, of course, that wasn’t the only colossal time-waste. Let’s not forget about “Jason Bourne,” a sequel/reboot of the Matt Damon-starring franchise. Was this reboot created out of a genuine desire to tell new stories using old characters? No. That would require effort. Instead, returning director Paul Greengrass presents audiences the vague outline of a boring conspiracy involving Bourne captured through a nauseating shaky-cam, and (like “Suicide Squad” before it), a waste of an Oscar-nominated cast with Tommy Lee Jones and Alicia Vikander doing nothing other than looking serious and staring at computers. Aside from a couple of good action scenes here and there, the movie practically redefines what it means to be shallow and empty. Essentially, Bourne discovers some information about his father’s assassination and travels the globe to find out what really happened to him. Also, a millennial with some kind of mind-blowing new technology (Riz Ahmed) is conspiring with the government. And there’s a villain with a vendetta against Bourne (played by Vincent Castel.) The writers (Greengrass and Christopher Rouse) don’t even bother to create a compelling conspiracy connecting all the plot points. The final plot twist tying it all together is stunningly boring. While not nearly as messy as the previous film in the series, “Star Trek Into Darkness,” “Beyond” is simply bland from start to finish. The charismatic cast gets little to do, the action is uninspired, and it all ends up feeling rather inconsequential. The best idea in the film was its plot twist in which it’s revealed that (spoiler alert!) Krall is actually a soldier who, after the creation of the “Federation” (a planetary, diplomatic equivalent of the United Nations), lost his sense of purpose because he was forced into diplomacy and bureaucracy instead of living at home in the battlefield. It would have been a touching, tragic, and timely idea to explore, but what should have been the best part of the movie was reduced to nothing more than a few lines. Of course, there were several other blockbusters released this summer, and I’ll admit that I didn’t see them all. I won’t bother to review here all the movies I did see. It should be immediately clear from the films I’ve discussed here, however, that something is going horribly, horribly wrong with Hollywood. It seems that as films have become increasingly expensive, creativity, originality, and thought have fallen by the wayside. Consider the scripts for all of the above films. Did any of them feature engaging stories? No. Their plot lines are spectacularly simple to the point where one spends the entire movie waiting for it to start being interesting. Did any of them push the boundaries of what good action looks like? Again, no. Unlike the blockbusters of old (such as “Indiana Jones” and “Star Wars”), special effects were bright and colorful but never used creatively or originally, instead opting to give audiences more of what they’ve probably already seen. Were any of them even memorable? No, not at all. So, what does this say about the future of the Hollywood blockbuster? In an ideal world, nothing: This was simply a bad year, and future films will be better. But this is likely nonsense. For years, the number of reboots and sequels has been increasing, while there have been fewer and fewer original franchises. This trend seems unlikely to be bucked in the future with even more sequels and reboots coming in 2017. Really, though, the biggest thing to worry about isn’t that the next few years could be filled with bad movies; it’s what happens when blockbusters start failing. The kings of the Hollywood blockbuster, George Lucas and Stephen Spielberg, best articulated the problems with a Hollywood meltdown in 2013. Spielberg argued that if several “mega-budget” movies flop, Hollywood would be forced to focus all its efforts on a few big-budget films with no room for smaller projects. Lucas predicted that the end result of this would be that movie prices would skyrocket with movie theaters functioning like Broadway theaters: expensive ticket prices for movies that would be screened for a year or so. This artistic dystopia is definitely something to worry about. While ticket prices haven’t suddenly or dramatically increased yet, several big-budget films have already flopped and it seems likely that this trend could continue given the current state of Hollywood. Ah, well. At least we’ll always get to watch multi-million dollar explosions. Who really needs good art, anyways?